Carrying the repute as Africa’s greatest safari destination often overlooks the fact that Tanzania feature more than 800kms of stunning Indian shoreline to discover. With adequate variety to make it a stand-alone holiday destination, beach holidays in Tanzania will lure to every tourist. The beaches here are best in class while the variety of top-class diving sites will make snorkelers and scuba divers delight. Honeymooners will admire the exclusive and compassionate beach-front lodges whilst parents will love the variety of family friendly lodging and activities accessible. The mainland Tanzania shore features a few locations that deserve a trip. The beaches south from Tanga provide soft white sands and some great dive & snorkel sites. A fifteen minute flight from Dar es Salaam is definitely the finest beach hideaways in Tanzania. The isles of Mafia and Pemba just off the shore of Tanzania are less renowned compared to Zanzibar but provides some magnificent untouched reefs for snorkeling and diving. Much more isolated and less explored compared to Zanzibar, these are authentic tropical isles with dense undergrowth & fabulous reefs and sand spits making these islets perfect for snorkeling and diving far away from the crowds. It is usually concurred that the most favorable time to consider beach holidays in Tanzania is throughout the drier and moderate June to September months; the December to January vacation phase is also best-selling but the temperature during these periods tend to be a bit higher and there’s probably some precipitation around. 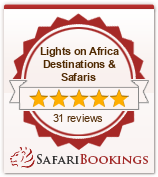 At Lights On Africa, we’ve specialized in customizing Tanzania beach holidays since our inception. Our vast experience and knowledge will assure you the most suitable itinerary for according to your travel dates and budget. You can also combine your wildlife safari or Kilimanjaro climbing with beach holidays.